DigiTimes reports that Google has pressured Asus into canceling its Transformer Book Duet TD300, which was only just introduced at CES earlier this year. The device looks like most Asus slates, but it has one very distinct capability: it can dual boot Android and Windows 8. Those who want the functionality and apps of an Android ecosystem can get their fill, while simultaneously being able to boot into a traditional desktop ecosystem for more productive work. Sadly it may never see the light of day. Google allegedly convinced Asus to cancel the device because the search giant felt it would hinder the growth of Android. From a business perspective, not only would the dual system device potentially benefit Intel because it uses the company's X86 chip, but it would also help Microsoft make a deeper Windows market penetration, possibly muscling out Android in some areas. That didn't sit well with Google. This isn't the first time Google has reportedly thrown a hissy fit to its manufacturing partners. The cancelation is big news because Intel is supposed to be one of Asus's main partners for the year, and planned on giving the Taiwanese manufacturer plenty of price advantages and marketing dollars. While it appears Google has won the early dual booting battle, there's reportedly still a chance the Book Duet TD300 could still get released later this year. If not, Asus may have other options up its sleeve. The news hasn't been confirmed by either party just yet, so we're still holding out hope. 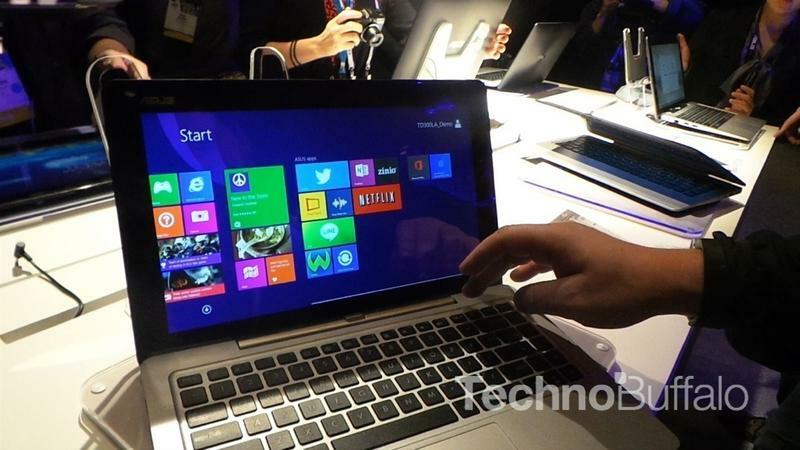 In the meantime, you can watch a quick hands-on we got with the Transformer Book Duet TD300 at CES in January.